Heavy metal and knitting doesn’t exactly sound like a match made in heaven, but that hasn’t stopped some truly creative minds in Finland from combining them in the world’s very first Heavy Metal Knitting Championship. 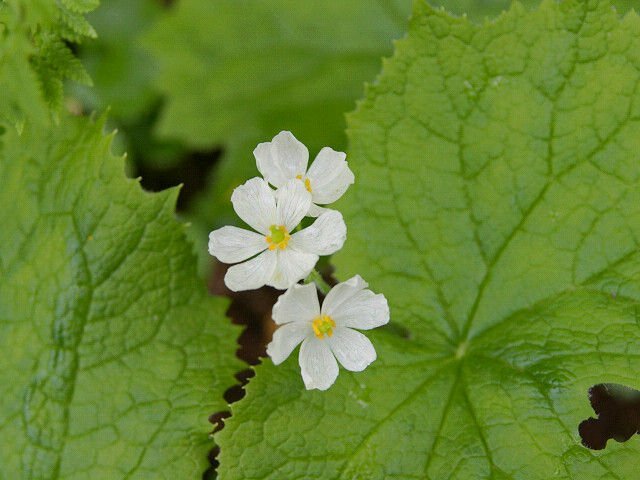 Finnish Marketing Agency Tovari teamed up with Joensuu City Cultural Services and the Joensuu Conservatory in order to bring together two of the most popular things in the northern European country. Heavy metal is really big in Finland, with over 50 heavy metal bands per 100,000 Finnish citizens (more than anywhere else in the world), and knitting not less so, as hundreds of thousands of people out of a population of around 5.5 million are practising some kind of needlework crafts. After brainstorming for the best way to combine the two, the creative minds behind this initiative came up with the World Heavy Metal Knitting Championship. Spilling coffee is never fun, but for German designer Stefan Kuhnigk it turned out to be a blessing in disguise. He turned that first coffee stain into a small monster and has been creating Coffee Monsters ever since. Stefan recalls looking at the stain his cup of dark espresso left on a piece of paper and it looking back at him as if saying “Draw me, draw me, draw meeee!”. So he did just that, and create his very first Coffee Monster. The next day, he thought back on this little accident that had challenged him to get creative, and decided he could replicate the coffee spill every day as an exercise in creativity. A Filipino Catholic man playing the role of Jesus Christ in a yearly Good Friday reenactment of his crucifixion has been nailed to a wooden cross for the 33rd consecutive time last week. 58-year-old Ruben Enaje, from the barangay of San Pedro Cutud, in San Fernando City, has been volunteering to get nailed to a cross on Good Friday since the 80s, but recently announced that next year will be his last impersonating Jesus Christ. He is currently looking for a successor willing to have four-inch nails driven into his hands and feet and get lifted on a large wooden cross for about five minutes, every Good Friday. He also wants that person to be humble and not brag about their special role. A Chinese man was recently ordered to pay tens of thousands of dollars in compensation after his firecracker celebration killed over 10,000 of his neighbors’ rabbits to death. This unusual tragedy occurred at the beginning of 2018, when a man named Cai Nan decided to celebrate the renovation of his home in Xuzhou, China’s Jiangsu Province, with a bang. He and the workers set up dozens of firecrackers on the roof of the house and reportedly fired them off for a period of 3 to 4 minutes. Cai never imagined that the loud bangs they made would affect the rabbits on his neighbors’ farm, let alone scare thousands of them to death. 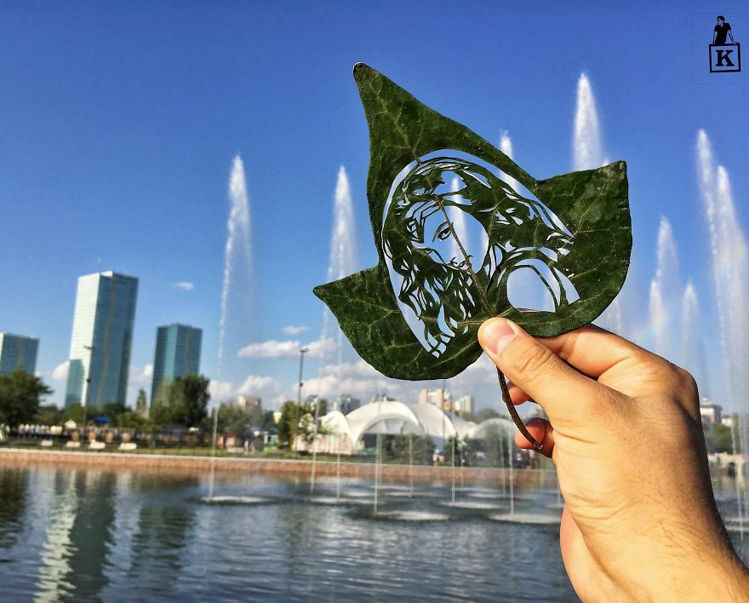 Sebastião Ribeiro Salgado is a world renowned social documentary photographer and photojournalist from Brazil, but few people know that he is also the mastermind behind one of the most amazing environment restoration projects in history. Together with his wife, Salgado has nearly completed the recovery of a single uninterrupted section of the Atlantic Forest, planting millions of saplings over the last two decades. The story of Instituto Terra, the non-profit organization founded by Sebastião Salgado and his wife, Lélia Deluiz Wanick Salgado, began in 1998. The celebrated photographer had recently returned from Rwanda, where he had documented the tragedies of war. The horrors he witnessed during those troubled wars haunted him long after he left Africa, and at one point he completely lost both his faith in humanity and the desire to shoot photos. It was around this time that Sebastião’s parents offered him and Lélia the old farm he had grown up in, and he took the opportunity to return home thinking that the idyllic paradise he remembered would help him heal. However, he found that his home was nothing like he remembered it. Salgado grew up on a 1,750-acre farm in the state of Minas Gerais 70 miles inland from Brazil’s Atlantic coast. He recalls that, when he was only a boy, the Atlantic Forest covered half his family’s farm and half the Rio Doce Valley, and that the fauna that called it home created a cacophony of sounds every day. But that wasn’t the sight he came home to in the mid 90’s. A Thai man recently checked the footage of a hidden camera he had installed in his bedroom and found out that his pet cat loves using his face as a bed when he’s out cold. Lomphonten Lomphontan originally had the hidden camera set up so he could keep an eye on his pet cat, Achi, when he was at work. In January of this year, he decided to face the camera towards his bed at night, to monitor Achi’s behavior when he was out cold. To his surprise the feline, who loved nothing more than to curl up next to him all the time, became even more affectionate once he fell asleep. After climbing on his chest and pressing his paws on Lomphonten’s face to make sure he was asleep, Achi made himself comfortable on his master’s face, suffocating him (with love, of course). 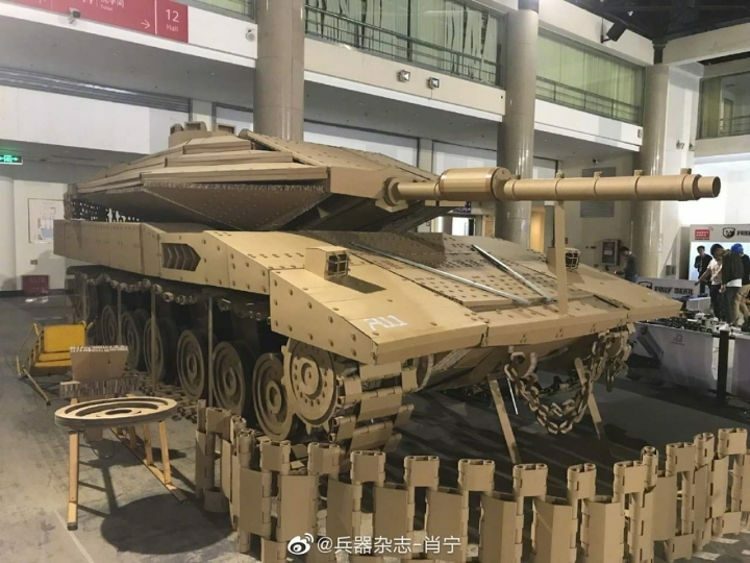 A team of Chinese cardboard modelling experts stole the show at this year’s Hobby Expo China (HEC) International Model Expo, in Beijing, with a 1:1 cardboard replica of the Merkava MK4 Israeli battle tank. Photos of this awe-inspiring masterpiece of cardboard modelling have been doing the rounds on Chinese social media for the last five days, drawing the admiration of millions in the Asian country. Sadly, there doesn’t seem to be much information available online, except for the fact that it is a 1:1 model of the Merkava MK4 made out of over 5,000 cardboard parts and weighing around a ton. In a time when the cost of renting a home seems to be getting higher virtually everywhere in the civilized world, the residents of an idyllic housing complex in Germany are living in an inflation-free utopia. The people of Fuggerei, a walled district on the outskirts of Augsburg, pay only $1 a year on rent, the same as the first tenants who originally moved here nearly 500 years ago. 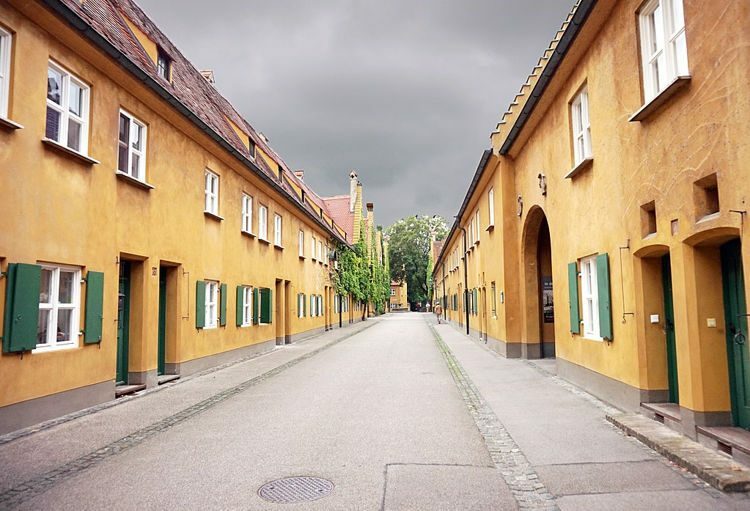 Fuggerei was founded in 1514 by an affluent businessman named Jakob Fugger, as a social housing complex for the poorest people of Augsburg. The Fugger family moved to the bustling German city in the mid-14th century and established a prosperous cloth trading business. By the 16th century, the Fugger family was one of the richest in Augsburg, and their operations expanded to real-estate and banking. Jakob Fugger was the wealthiest banker in the city, which earned him the nickname “Jakob Fugger the Rich”, but he stayed true to his family’s values, and in 1514 he started the construction of Fuggerei as a way of giving back to the community. 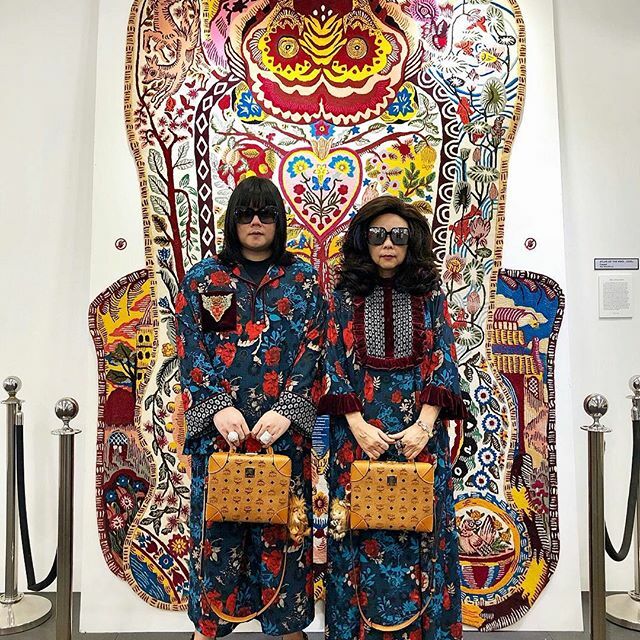 Pattharapol and Lee Puengboonpra, a fashion-obsessed mother and son duo from Bangkok, Thailand, have achieved online and offline fame thanks to their impeccably stylish and perfectly coordinated outfits. Six years ago, when Pattharapol “Peepy” Lee started posting photos of himself and his 60-something mother wearing flamboyant matching outfits on Instagram, he had no idea they’d soon become fashion influencers and online celebrities in their own right. A long-time fashion aficionado and former editor-in-chief of Hi! Magazine, he acted on a whim, and had no idea he’d one day have legions of fans showering him and “mother Lee” with compliments for their sense of fashion. The @peepy_and_mother_lee Instagram page now has around 130,000 followers from all over the world and the Thai pair are regarded by some in the fashion industry as the “world’s best mother and son style” duo. 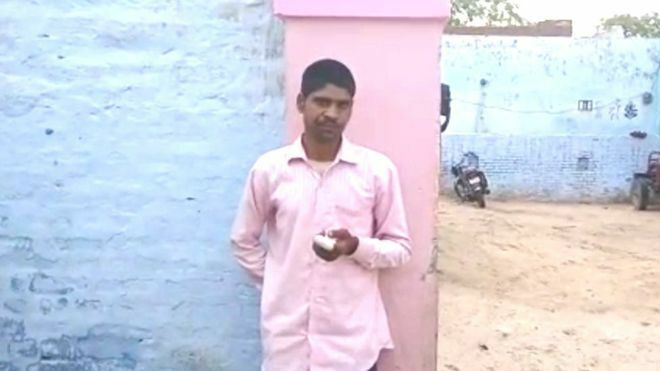 Pawan Kumar, a 25-year-old Indian man from Uttar Pradesh, chopped off his index finger with a meat cleaver in desperation, after accidentally voting fro the wrong candidate in India’s national election. Kumar became an overnight sensation, first in India, and then globally, thanks to a viral video of him with a bandaged index finger after he reportedly cut part of it off as self-punishment for voting for the wrong candidate. The young Dalit told reporters that he wanted to cast his vote in favor of SP-BSP-RLD candidate Yogesh Sharma, but got confused by the party symbols, and ended up voting for the ruling Bahujan Samaj Party (BSP) instead. He couldn’t live with his mistake and decided to chop off his finger in desperation. 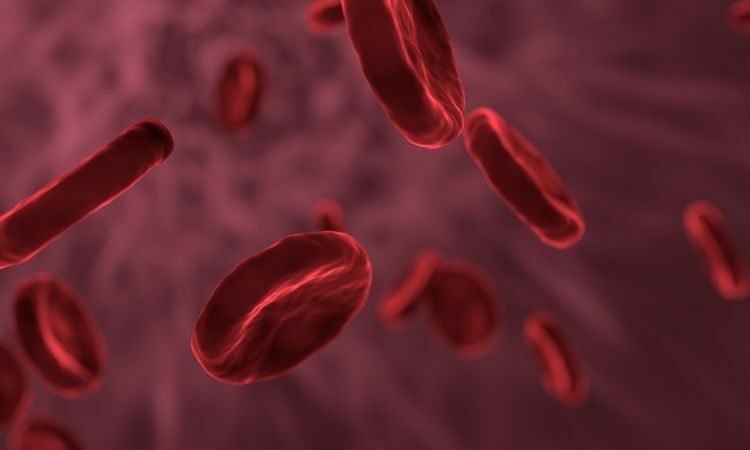 Golden Blood, or Rh-null blood is an extremely rare blood type that has only been identified in 43 people around the world in the last 50 years. It is sought after both for scientific research and blood transfusions, but also incredibly dangerous to live with for the people who have it, because of its scarcity. To understand golden blood it’s important to understand how blood types work. Human blood may look the same in everyone, but it’s actually very different. On the surface of every one of our red blood cells we have up to 342 antigens – the molecules that trigger the production of certain specialized proteins called antibodies – and it’s the absence of certain antigens that determines a person’s blood type. Around 160 of these antigens are considered common, meaning they are found on the red blood cells of most humans on the planet. If someone lacks an antigen that is found in 99 percent of all humans then their blood is considered rare, and if they lack an antigen found in 99.99 percent of humans, their blood is considered very rare. The 342 known antigens belong to 35 blood group systems, of which the Rh, or ‘Rhesus’, system is the largest, with 61 antigens. It’s not uncommon for humans to be missing one of these antigens. For example, around 15 percent of Caucasians miss the D antigen, the most significant Rh antigen, making them RhD negative. In contrast, Rh negative blood types are much less common in Asian populations (0.3 percent). But what if a human is missing all of the 61 Rh antigens? 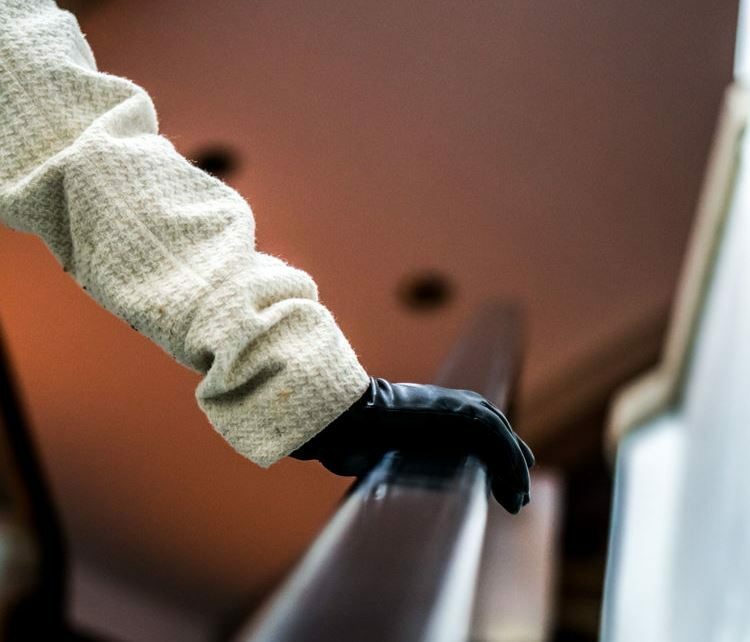 When riding an escalator, it’s recommended that you keep a tight grip on the handrail, just to be safe. But what if you choose to disregard that advice? Well, one Canadian woman has been fighting a 10-year-long court battle for her right to ride escalators hands-free. In 2009, Bela Kosoian was riding an escalator at a subway station in the city of Laval when a police officer told her to respect a pictogram on the escalator that said “Caution, hold the handrail”, in French. The Montreal-area woman refused to obey the officer’s command and instead started arguing with him. She ended up being detained and getting a $100 ticket for refusing to hold the rail and another $320 for failing to identify herself. She was also handcuffed and detained for 30 minutes. 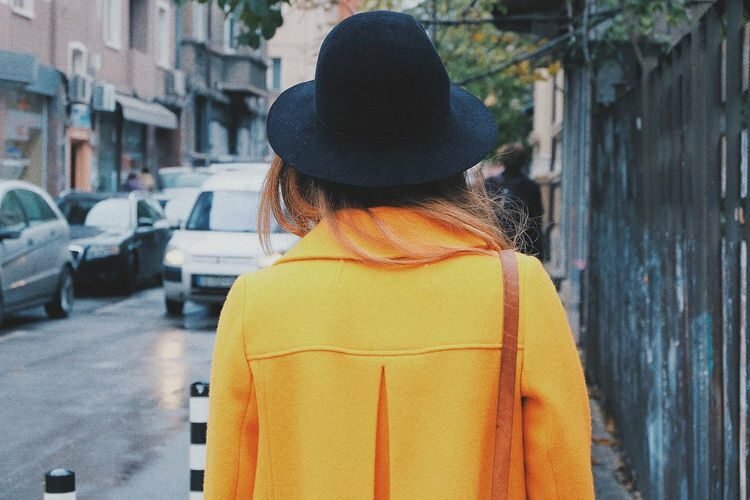 Kosoian was acquitted of her “crimes” in municipal court in 2012, and then filed her own lawsuit against the city, arguing that she was not obligated to hold the escalator handrail or identify herself in front of the police officer. She has so far lost twice in Quebec courts, but refused to give up, and this Tuesday her unique case was heard by the Supreme Court of Canada. 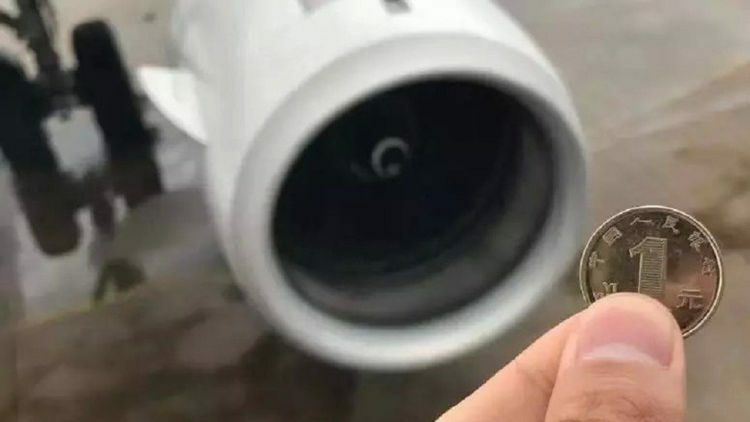 For the seventh time in the last couple of years, a Chinese person has been arrested for trying to drop a handful of metal coins into an airplane engine, for good luck. On Monday morning a 66-year-old woman surnamed Wang was detained for attempting to throw six metal coins into the engine of a Tianjin Airlines plane just before take-off, in an effort to guarantee a safe trip. Fortunately, the coins ended up on the ground instead of into the multi-million dollar engine, and were noticed by an airport worker before the plane’s departure. 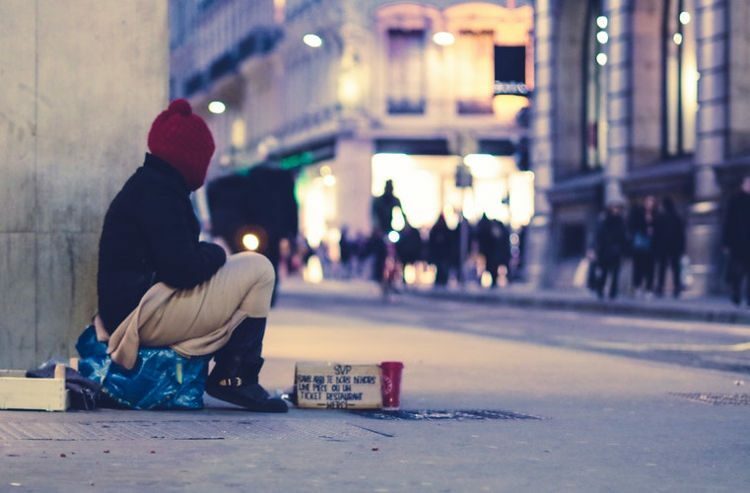 When an announcement was made, asking whoever threw the coins to come forward, Wang refused to take responsibility, but she soon identified using surveillance footage. Yoshiro Harada, a newspaper delivery man from Tokyo, Japan, was only 24 years old when he decided to live the rest of his life as a tiger and became Shinjuku Tiger. Today, at age 69, he is considered a living legend of the business district. Born in Nagano Prefecture, Harada moved to Tokyo in 1967 to attend Daito Bunka University. He started delivering newspapers while he was still in school, and eventually decided to quit the university and dedicate himself to his job full time. He can’t really recall the reason he quit his studies, all he knows is that he wanted to quit. The same can be said about his beginnings as Shinjuku Tiger. 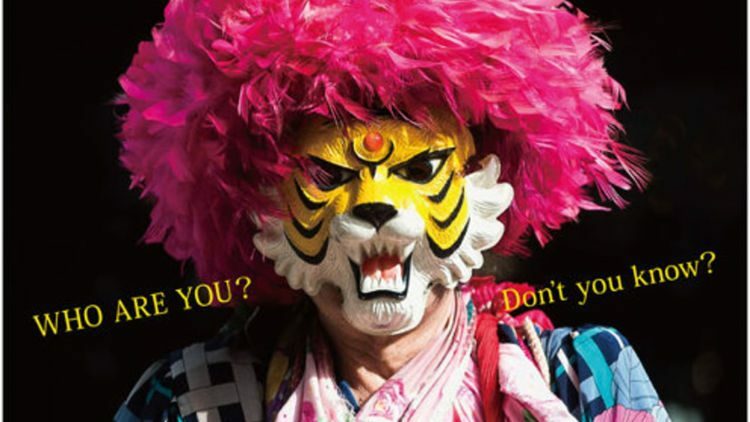 One day in 1972, as he was attending a shrine festival in Kabukichō, an entertainment and red-light district in Shinjuku, he passed by a row of shops and noticed one of them was selling colorful, plastic tiger masks. That’s when it hit him, he was going to live the rest of his life as a tiger. Natalie Kuniciki, a 23-year-old paramedic from London, UK, was left partially paralyzed after her vertebral artery burst when she involuntarily cracked her neck, causing a blood clot to trigger a stroke in her brain. We all crack our joints every once in a while, whether accidentally or on purpose, but apart from that satisfying “pop” sound, nothing really happens. 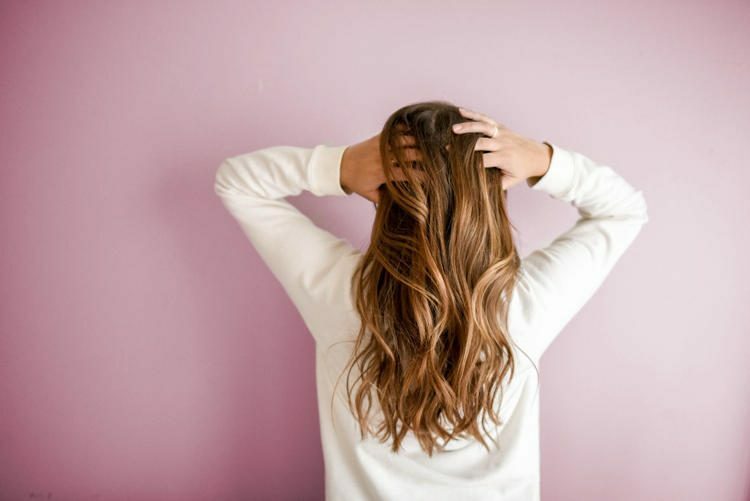 However, in Natalie Kuniciki case, a simple and seemingly harmless thing like moving her head caused a stroke that left her partially paralyzed. The 23-year-old paramedic was watching a movie at her home in West Hampstead after a night out when she involuntarily stretched her neck. 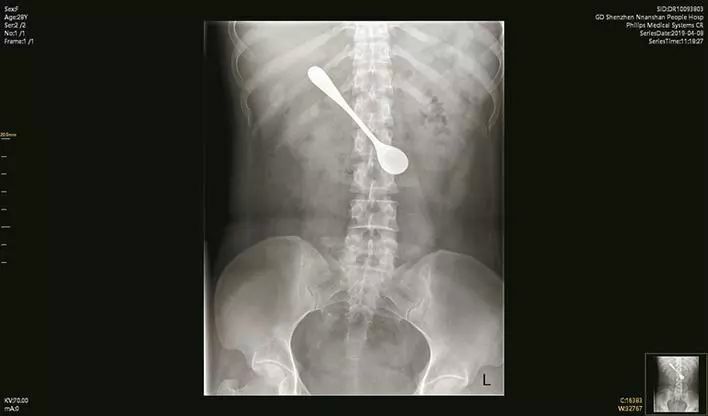 Only this time, the routine maneuver caused a loud “crack” sound in her neck. Natalie didn’t really feel any pain so she ignored it and went to bed, only to wake up 15 minutes later unable to move her left leg. When she tried getting up to go to the toilet, she collapsed, so the frightened young woman called an ambulance.